Rene Staud is a German photographer, born in Stuttgart, with a passion for photography that dates back to his childhood. At the age of 12, Rene Staud manages to win his first photo contest. Combine the passion for photography a passion for cars, and the 70th anniversary of Porsche sportscars and the result is the book “Art of Porsche”. Rene Staud brought the most iconic Porsche’s for his lens and tells the history of 70 years Porsche with pictures that bear the Rene Staud signature. That includes both milestones dating way back like the Porsche 356 or early Porsche 911’s. However more modern cars are not forgotten : the 2016 Porsche 911 or 2017 Porsche 911 GT2 RS are just a few of the over 60 different Porsche models that were used as models to illustrate the stories. 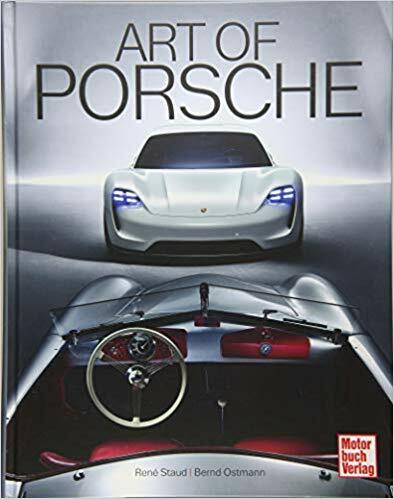 Art of Porsche is mainly a coffee-table book, that has some great stories in the nterviews with Wolfgang Porsche, Jacky Ickx, Walter Röhrl, Hans-Joachim Stück and Dr. Oliver Blume.